This weekend, I somehow got myself in the Christmas spirit. I know, I know. Today is Halloween, I shouldn't be thinking about putting up the tree and watching classic Christmas TV specials. But, I am. To combat this, I decided to work on something I wanted to add to my Christmas decorations this year...some Korknisse. 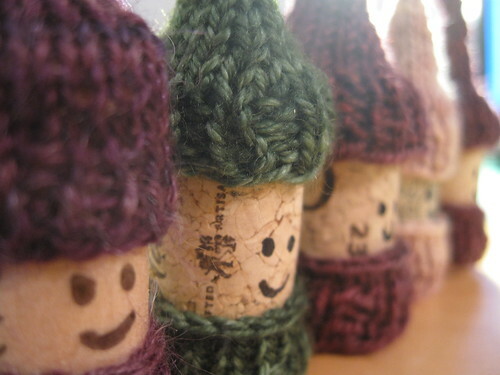 I have been saving wine corks for forever. My plan is to make quite a collection of these, both for me and for some of my friends. I modified the pattern slightly, adding a couple extra rounds of ribbing on the hat (I found the hat stays on the cork wayyy better with this mod). I also added a wee bit of i-cord to the top of the hat. Because I think it's cute. 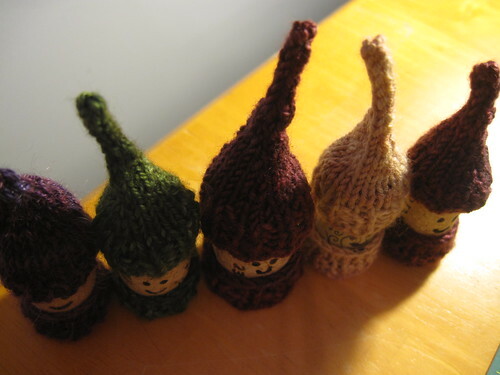 I knit these five little guys in just a couple of hours. 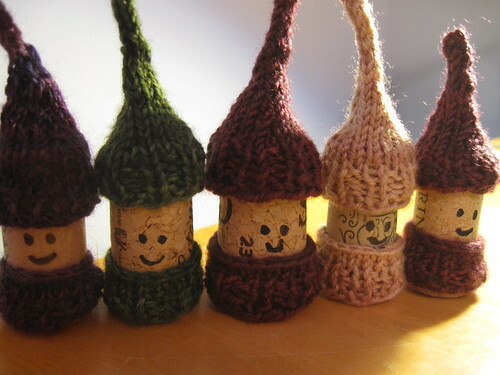 I think they may be the perfect project for this evening, while handing out Halloween candy. Such a simple pattern and can be easily set down and picked back up while the doorbell is ringing for hours on end!